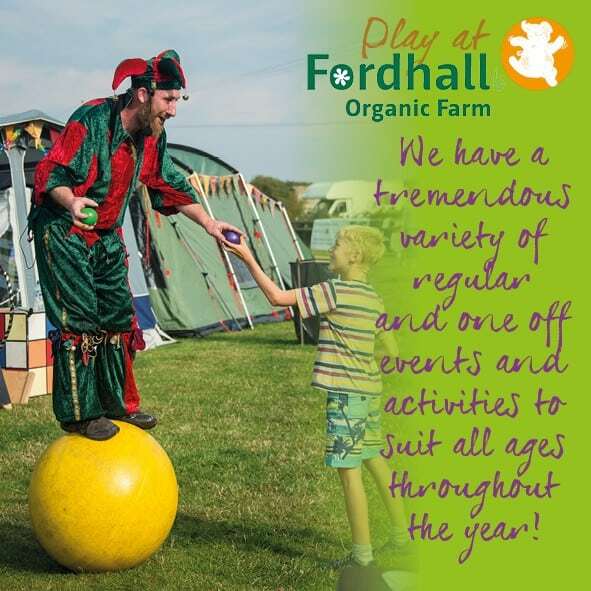 At Fordhall we offer stimulating educational experience days for groups of all ages. A day at Fordhall will bring to life many areas of the National Curriculum, including Science, PSHE, Geography, History, English, Art and Citizenship. 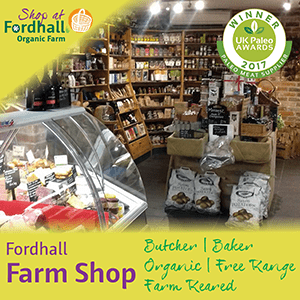 Organic farming principals – even a bit of Foggage! Our group facilities are improving constantly. 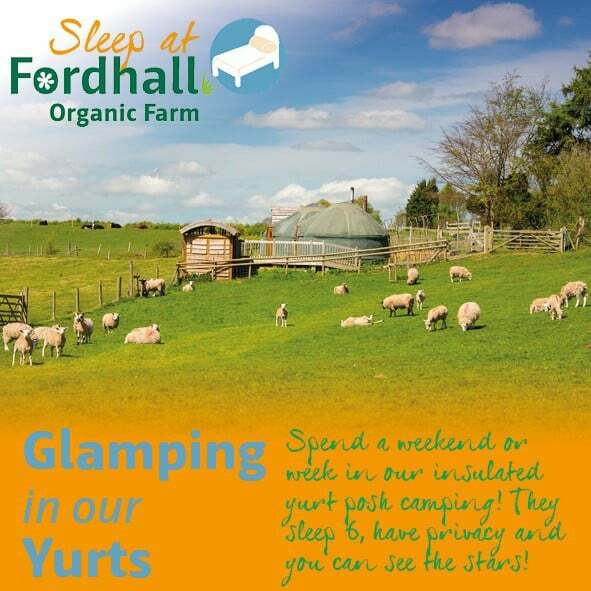 We have a dry classroom and a brand new human pig-arc for indoor activities, a forest school area, a picnic area and of course, access to the fields, meadows and woodlands. Coach parking is available and we have a thought provoking compost loo (in addition to conventional toilets). Programmes can be tailored to suit your group’s needs and whilst visits are generally planned and delivered by our experienced education staff, schools are welcome to lead their own visits. Please contact us to discuss your requirements, for support in planning and to make your booking. We can currently offer one free visit per school per year subject to availability. Contact us to check if we have any available for your school. All visits must be booked in advance and we encourage a pre-visit by group leaders. 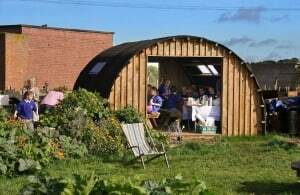 We can also cater for your local group whether it is U3A, WI, Rotary, Natural History, Organic Gardeners or other. 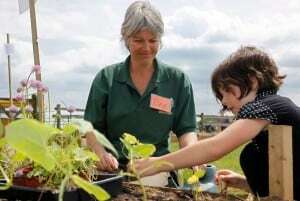 Why not choose something different and arrange a visit to England’s first community-owned farm. 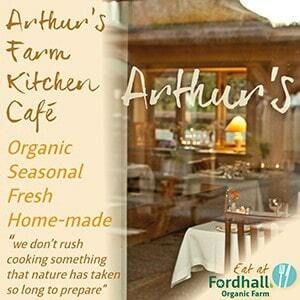 We offer guided walks by Charlotte Hollins around Fordhall. These generally take about 1.5 hours and provide you with the inspiring behind the scenes story of how this historic farm was saved from development by thousands of people across the world. The walk also covers the unique Foggage farming system, organics, volunteering and more. Walks can be offered free of charge, and refreshments can be organised on request for a small charge. This may consist of anything from a cup of tea and cake to a full buffet. Or you may decide to bring your own picnic and make an afternoon of it in the picnic area. Walks need to be booked for a minimum of 10 people with a maximum of 25. The terrain is variable with moderate hills and there are no styles to climb. 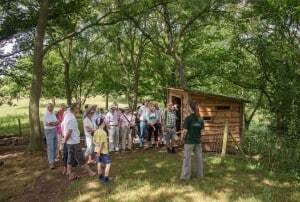 If you are interested in booking a walk at Fordhall please contact the office on 01630 638696 or email us at project@fordhallfarm.com.